>The Wilkes-Barre/Scranton Penguins have signed defenseman Mitch Ganzak to an American Hockey League contract, it was announced on Tuesday. Ganzak, 25, appeared in 64 games with the Wheeling Nailers last season, reaching the 40-point plateau and achieving a plus-minus rating of plus-13, tied for second on the team. He also appeared in three AHL contests with Norfolk and Albany last season. 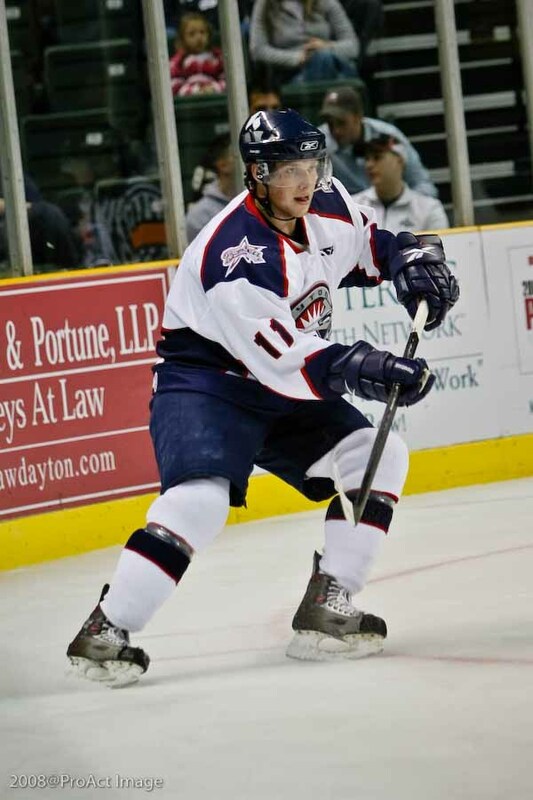 > Former RedHawk defenseman Mitch Ganzak has been named to the ECHL-All Rookie team. Ganzak, who spent this season with the Wheeling Nailers, registered a total of 39 points (7th best in ECHL) and a +15 rating. His 32 assists are 6th best in the “E” among defensemen. Ganzak has played three games in the AHL this season. Two with Albany and one with the Norfolk Admirals. The Nailers have three games remaining, including tonight’s contest against Trenton. >– Just a bit of news today, as defenseman Mitch Ganzak was released just one game into his 25-game tryout with the Norfolk Admirals. Ganzak was a -1 with no points in his only game with Norfolk. Methinks this has something to do with Ty Wishart and Vladimir Mihalik being sent back from Tampa Bay. 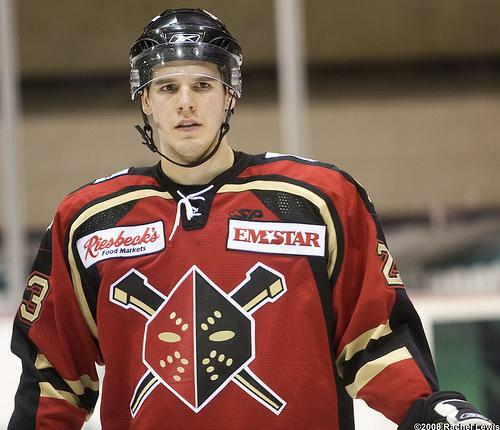 Anyhow, Ganzak will now return to the Wheeling Nailers of the ECHL. – After a dismal performance at the Ohio Hockey Classic this weekend, the RedHawks have dropped from number two in the country…to number eight in the latest USA Today Division I poll. Miami takes on Michigan, in Ann Arbor, this weekend. Ganzak has played well this season in the “E” with Wheeling, registering 4 goals, 18 assists, and is third in the ECHL with + 19 ranking. For those who don’t know, “PTO” stands for Professional Try Out. These types of contracts are for 25 games, but a player can be released before those allotted games are up. A second PTO can also be signed, the difference here being that the player becomes a free agent after the second PTO is completed/terminated, or the player will be signed to an “SPC”, meaning standard player contract. Ganzak will wear number 43 for the Admirals, who take on the Portland Pirates at 7pm. Congratulations and good luck Mitch! 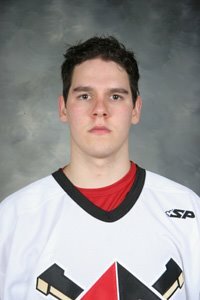 > The Official Website of the ECHL is reporting tonight, that former RedHawk defenseman Mitch Ganzak has been added to the Wheeling Nailers training camp roster. If you’ll recall, Ganzak was in camp with the Ottawa Senators, then assigned to Binghamton of the AHL, then released all together. Let’s hope Mitch catches on with Wheeling (who, by the way, are affiliated with the Pittsburgh Penguins). > “Sharp on the Sens”, the official Binghamton Senators blog, is reporting that the team has released defenseman Mitch Ganzak. >Just a short update here. I’ve compiled this post of where our Miami alumni are, training camp wise after all the cuts, reassignments, and whatnot. – Kevyn Adams may indeed be a Chicago Blackhawk on opening night, as he was a free agent invitee. He’s had a solid camp for a veteran player.